*Would you like your child to learn how to swim with confidence in deep water? Click the link to register to get details for the exact venue. 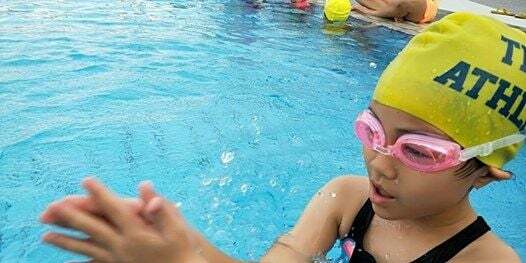 Register for FREE Trial Swimming Lesson NOW! - Water confident skills, how to breath in water, float and recover. - Success methods of teaching to grown your child interest in swimming. - Identify, discover and enhance your child’s talent, intelligence, hidden potentials and establish his or her sport in life. * Males and females coaches who have many years coaching experiences. *Our swimming programmes are Sport Educational endorsed. Perfect for children 4 ~ 12 yr old! So why wait? Our classes will be full soon! So be sure to register there early!